character corner - Shaping the Child parenting... because ​parenting is Not for wimps! ​ "Character matters” is a phrase commonly heard and it is very true. When parents are able to instill wonderful character traits in their child, then that child becomes that kind of person. When children become people with more positive character traits than negative, then the behavior of those children are less worrisome because of the choices children are likely to make because of who they are inside and that is a wonderful thing! I will begin with these twelve character traits because they are the ones discussed in the book. I will have good thoughts, memes, poems and stories about good character traits. (There will also be a Miscellaneous section with additional sections.) I encourage your help in submitting good information you may have on good character traits. That way it can become an ever growing and changing source for positive character traits that we can emulate and set the example for our family as well as others. 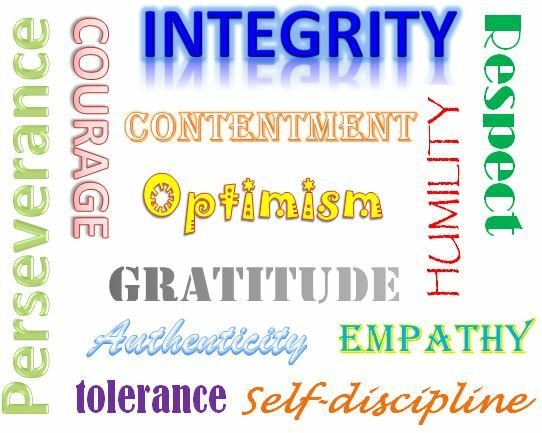 Note: I need your help please...if you have any stories about children who have demonstrated any of the character traits below, please contact me by sending me an email . You will find a contact form on the "About the author page". Thanks so much! With help from you, we can build this section together! Another note: I often search for free images on Google when looking for images, quotes etc. I am happy to give credit if I can, however, sometimes I cannot make out the authors name or website, although I try to keep it on the meme. Please contact me if you have information so I can give proper credit. Thanks! Jane E.
NOTE: Miscellaneous is the last to be able to click on. The catagories below are not linked. this is an ever growing section... check back often!